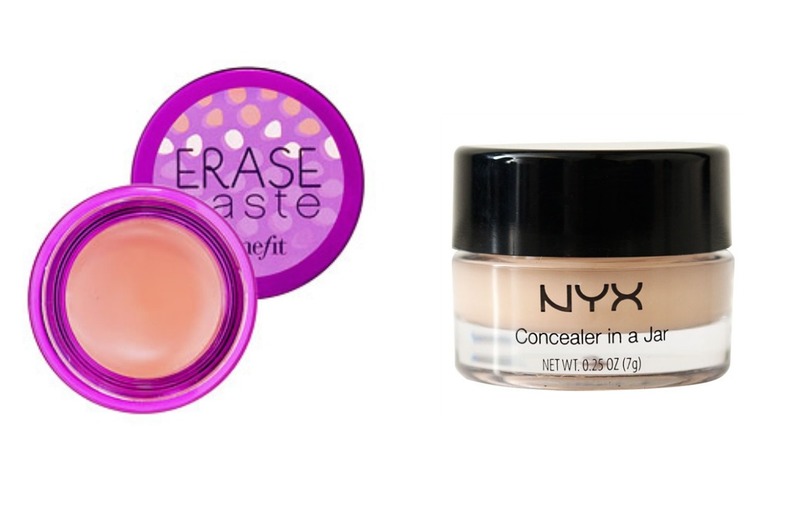 Everything you should know about concealers and how they work. First it's important to know what color your concealer should be, depending on what you want to use it for. Covering redness, dark circles and hyper pigmentation are all different types of imperfections, therefore you need different products for each thing. Here is a picture of the color wheel, this is an important part of concealing, because you want to neutralize your imperfections for them to be hidden more easily. For example, green is opposite to red on the color wheel, this means that green will cancel out the red and neutralize the color and make it less noticeable. It's therefore always helpful to look at the color wheel when trying to conceal something. As mention before, green is opposite to red in the color wheel, therefore green concealers cancel out redness on the face. Use green concealer on blemishes, around the nose where women get red and other red areas of the face. If you have widespread redness, use a primer that has a green undertone and use it after your moisturizer, but before your foundation and concealer. Purple cancels out yellow, so if you want to eliminated any yellow undertones on your skin, using a purple based concealer is perfect. People that have a dull, yellow complexion might love using a purple based primer, because that's going to add a radiant glow to their face. Yellow cancels out purple and blue, therefore this concealer is great for hiding under eye circles, blue bruises and veins. Most concealers have a slightly yellow undertone, because it's the most versatile color for concealing. This concealer is great for people with a darker complexion, looking to hide dark circles or other spots with deep discoloration. People with fair skin should stay as far away from orange concealer as possible. This is great for brightening around the eye area. The pink/salmon concealer color is a mix of red, orange and yellow hues, which are across from blue, purple and green hues on the color wheel. Therefore this concealer is best for covering dark under eye circles. People with an olive skin tone might love using a salmon toned primer on their face, before applying foundation and concealer, to brighten the face and give it a more awake and radiant look. If you're lucky and don't have many imperfections on your face, this concealer will work great on you. Get a shade similar to your own skin tone or a shade lighter and it will hide the occasional pimple or slightly dark circles. Now that we know about the different colors of concealers, we have to figure out what the different concealer formulas work great for. 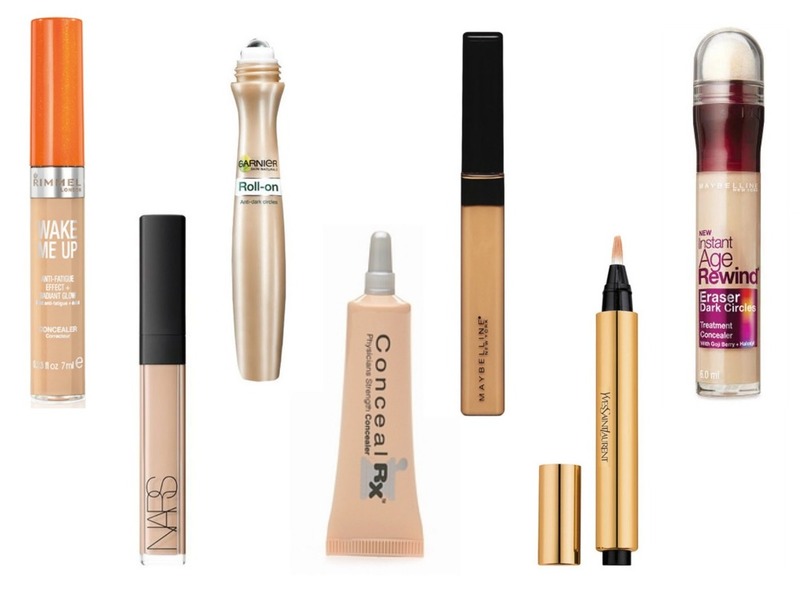 Liquid Concealers are probably the most popular. They are easy to use and a good all around concealer. They can be used for under eye circles, pimples and in general to even out the skin tone. Liquid concealers have hydrating properties and the watery formula can easily be blended out with a brush, sponge or fingers. If you want to brighten the under eye area, liquid concealer is the way to go, because a bunch of them have a radiant finish. 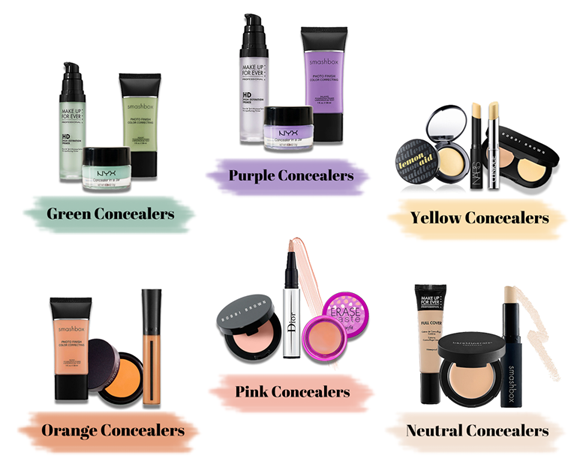 Cream Concealers are mostly used when wanting full coverage. 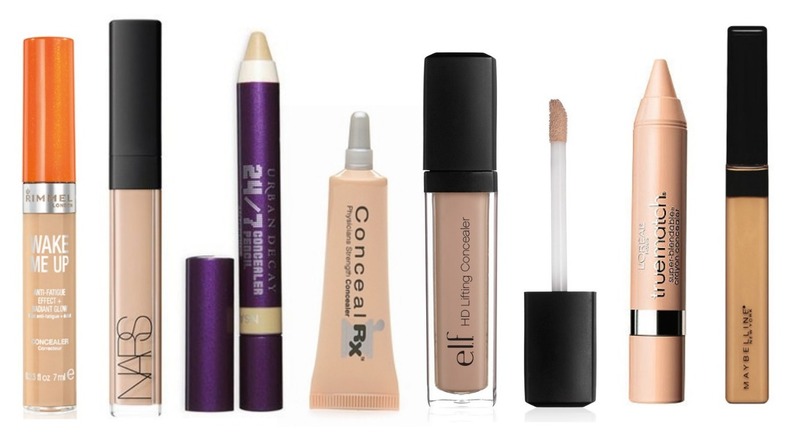 These concealers are highly pigmented, therefore a little goes a long way. Personally I think cream concealers are easiest to work with when using your fingers, because the warmth from your fingers melts the cream concealers and makes the application smoother. They are great for covering blemishes and since they are long lasting, they are going to stay on the skin all day. Pencil Concealers are a liquid version of cream concealers, in the way that they have high coverage and stay on the skin all day. Since they are a bit more liquid, the coverage is slightly less full, than a cream concealer, but it's still a high coverage concealer. 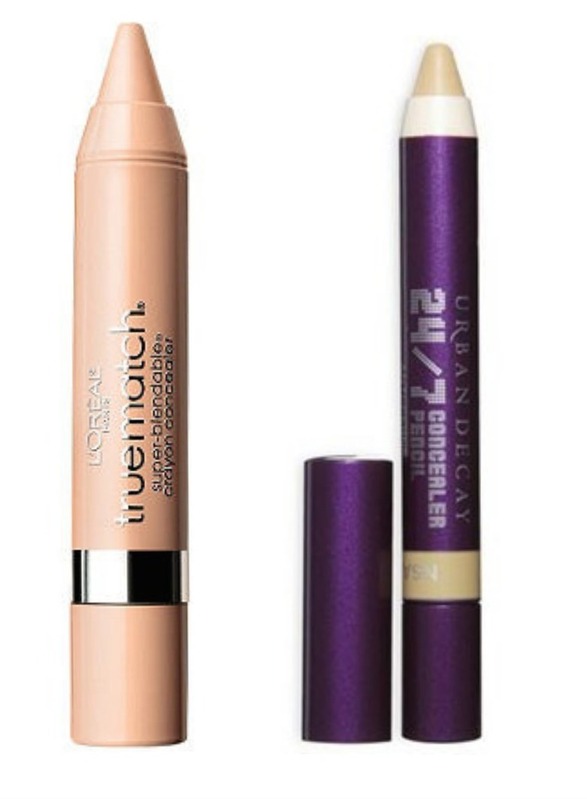 Pencil concealers are especially great for spot concealing, because of their pointed end. If you are in a hurry, these are super fast and mess-free to use. - Comes in purple and green as well. - Comes in green as well. This is my face transformation from no makeup, to concealer, to full face of makeup.